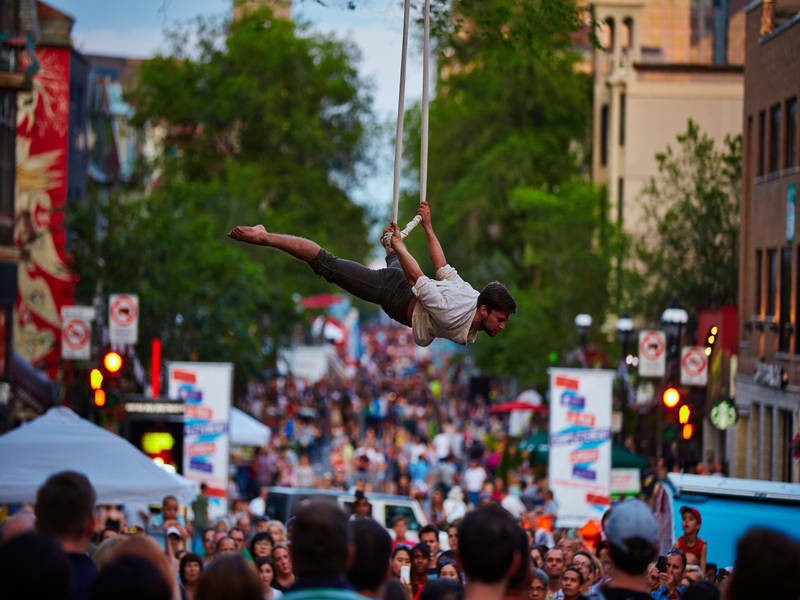 In July, Montréal moves to the rhythm of the circus. The city awakens, surprises and entertains. Its plazas, parks, sidewalks and indoor performance halls become venues for colourful, high-flying performances. Participatory activities, international show, outdoor circus performances and loads of surprises and magical moments await !